We offer only the highest quality piping, fittings and delivery equipment for a wide range of air, gas and lubricant! Whether you run a manufacturing plant or an auto-repair shop, we’ve got what you need! We offer only the highest quality piping, fittings and delivery equipment for a wide range of air, gas and lubricant! Our Champion Quick-Lock tubing comes with a 10-year warranty on all pipe and fittings. 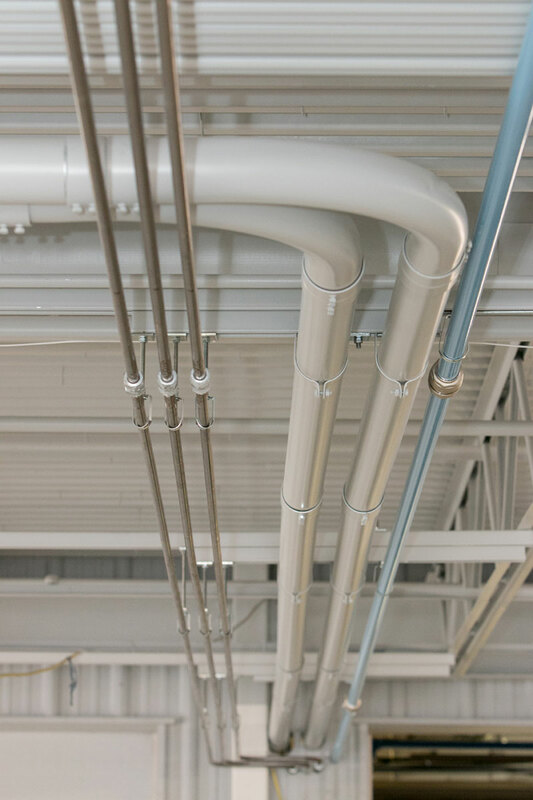 The air and gas pipe is made from durable extruded aluminum, so it won’t rust; and the fittings are made out of high quality nickel-plated brass, with a seal that is virtually leak-proof! One of the biggest benefits of using our quick lock tubing is the ease of installation! It requires absolutely no welding, sweating or threading! Just push the tube into the fitting, tighten the nut and move on to the next fitting. Whether you install these systems yourself, or you have our expert install team do it for you, you will save a great deal of money in the amount of time that it takes to install compared to any of your other options. We also offer a wide range of lubricant pumps, pipe and fittings for oil, transmission fluid, water and more, hose reels, metered lube guns, vehicle lifts, energy saving ceiling fans and more! If it’s you need it in your shop, plant or garage, we’ve got it. Call us today and let us make your life a little easier. Our professional staff specializes in system design and can help you every step of the way, whether you are starting from scratch, replacing, or adding on. If you go with Omaha Pneumatic, you can have the peace of mind knowing that the job will get done right, the first time!